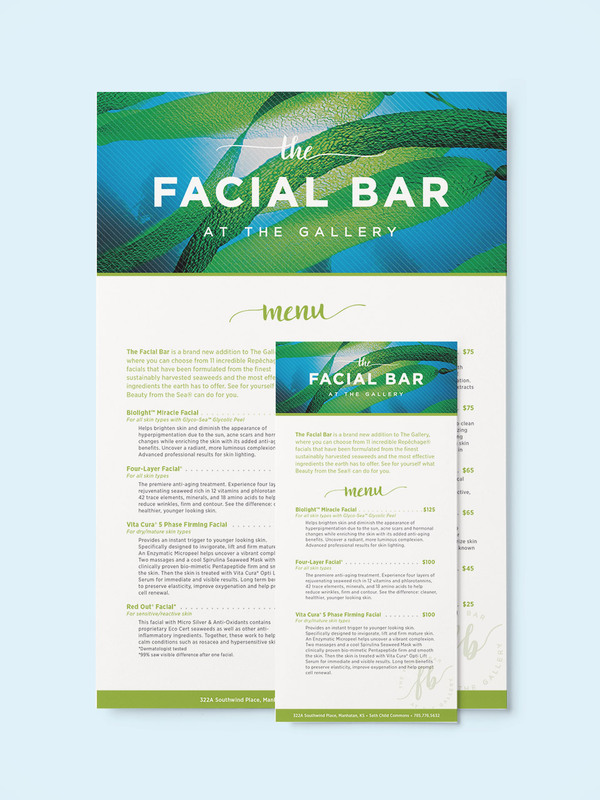 The Facial Bar is a brand new addition to the Gallery for Hair, where you can choose from different facials depending on your needs. S&N Design created a hand-lettered logo for their unique, new program to help expand their market. S&N also created posters and menus to display their exciting new services available.